Most people reading this article will be unappraised of the fact that Europe has only one wild river left untouched by human engineers. In the wilds of Albania, the Vjosa River flows from its origins at Mavrovouni mountain in Northern Pindos mountain chain in Greece, to wind down through the Balkan mountains to the beautiful the Adriatic Sea. The river and the region surrounding it are known as the Blue Heart of Europe, roughly 2,500 square miles of pristine nature that is now in danger. The Aoös (Greek: Αώος) or Vjosë River is a 272 kilometers (169 mi) long rivulet of pristine nature fed by tributaries like the Voidomatis, Sarantaporos, Drino and Shushicë. Named for the Greek goddess Aphrodite’s lover and the first king of Cyprus, the river system is currently endangered by plans to create no less than 36 hydropower dams planned across the region. For those unaware, the area already has over one thousand, and there are almost three thousand more planned. Wolfe and Patagonia have made a documentary film, Blue Heart, which frames the devastating aftermath of damming this and other Balkans river systems. The video below is from the Save The Blue Heart of Europe campaign, a film created when 30 scientists investigated this amazing river system last year. This part of Albania is attracting many outdoorsmen and tourists keen to experience the wild beauty of the Balkan states. The mountains and valleys of the countries of the former Yugoslavia are amazing, and tourism arrivals to the region have skyrocketed in the last decade. But environmental groups like River Watch, EcoAlbania, and many others say ecotourism and Albania’s nature-loving visitors will dry up if the proposed 400 MW dam system is completed. 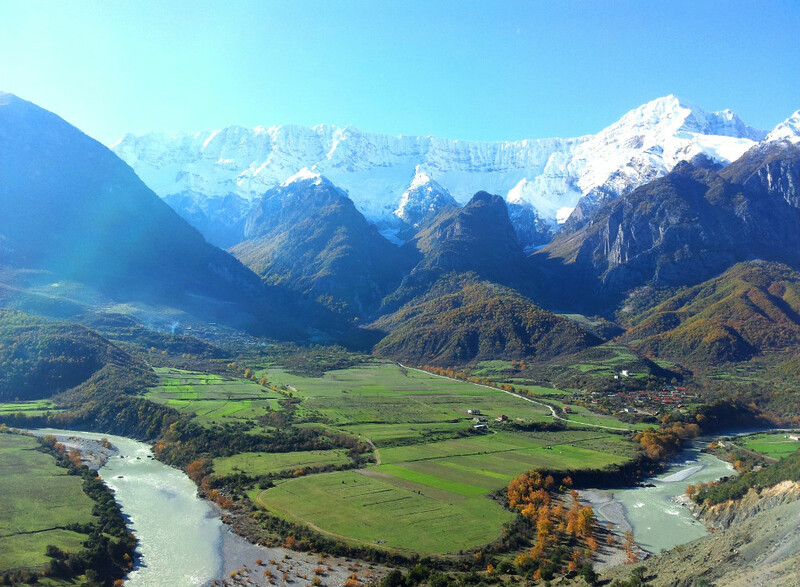 Such groups have petitioned Albania’s decision makers to halt such plans and declare it a national park. But what stands to be lost with the damming of this last remaining European river system is more than tourist dollars. The Vjosa River is the last remnant of pristine wildness, an untamed and free-flowing reminder of our European origins. This magical place of beautiful canyons, braided river sections, islands, oxbows and meandering ribbons of crystal water are what’s left of the way things were. In some places, the Vjosa widens like America’s Mississippi to over 2 kilometers in width. And unlike many of the other great river systems in the world, the Vjosa’s tributaries are free-flowing and intact as well. You can do your part to help save what’s left of Europe’s wild outback. The folks at Patagonia have created several initiatives under the hash #SAVETHEBLUEHEART – Don’t let this last vestige of wild Europe be destroyed forever.